Posted February 4, 2015 by Dr. William Myers & filed under General Dental Articles. The daylight hours in the winter months are few are far between. Those rare times when the sun is shining, we’re usually stuck inside at work or it’s just too cold to enjoy it. This is particularly troubling for all of us at my dental office in Warsaw. What’s So Great About The Sun? It’s warm, soaking up the rays feels good, and it helps keep our planet from turning into a giant sheet of ice. It also provides us with several awesome health benefits. It can make our immune systems stronger, give our moods a boost, and supply us with a lot of vitamin D.
Vitamin D is crucial to both your overall health and a healthy smile. This powerful nutrient is our first line of defense against germs since it regulates our immune systems. It also assists the pancreas and making insulin, can lower blood pressure, and helps absorb calcium. Calcium is key to building strong bones and teeth, so we’re big supporters of getting an adequate supply of vitamin D every day. 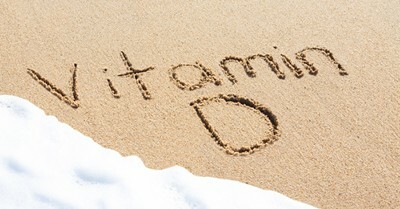 Getting enough vitamin D is obviously crucial to your oral health. But if you’re not consuming enough of it, it’s not only your mouth that will suffer. Recent research has linked vitamin D deficiencies to osteoporosis, serious cancers like breast, colon, or prostate, and increased risk for type 1 diabetes. At my Warsaw dental office, we want to keep your mouth and your whole body as healthy as possible. Vitamin D can certainly help. So go catch some rays or enjoy some vitamin-D-rich foods, not just for your smile, but for your whole being. Welcoming patients from Warsaw, Winona Lake, Leesburg, and surrounding communities.